You are at:Home»Strictly Business Magazine Omaha – Get involved & gain greater credibility with BOTH PEOPLE AND THE SEARCH ENGINES. Strictly Business Magazine Omaha – Get involved & gain greater credibility with BOTH PEOPLE AND THE SEARCH ENGINES. 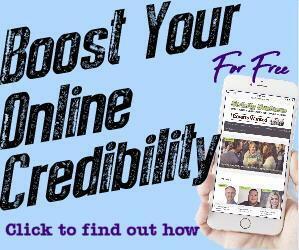 Get involved & gain greater credibility with BOTH PEOPLE AND THE SEARCH ENGINES. The reason most people get involved with Strictly Business Magazine is to gain greater credibility with BOTH PEOPLE AND THE SEARCH ENGINES. To set themselves apart from the competition. 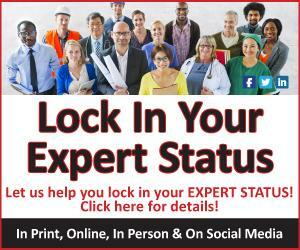 For over 25 years we helped our clients LOCK IN THEIR STATUS AS THE EXPERT in their field, and to stay away from competing on price. And the way we do that is by creating and publishing tons of Editorial Content and Press Coverage for them. Press that no only appears in print, but also online and on social media. All this interviewing, writing and editorial content is FREE, its value added, it costs you nothing extra for this service, nothing. That’s why people choose to partner and invest with Strictly Business Magazine. No one else does this, not one of our competitors. Not the social media companies, not the TV stations, not the Radio stations, not the newspapers, no other print publications do this for their clients. Right now we have over 50 clients who have been marketing with us month after month after month for over 10 years, and even some clients have been with us for over 20 years. And it is for the simple reason is that they understand all the extraordinary value we bring to them and their company. The internet has revolutionized our business in 3 major ways and has just made our marketing services even more powerful and effective than ever. 1. Now the goal of our marketing is to drive people to your Facebook page and/or website. 3. It has amplified our core skills [Content Marketing] making us even more powerful as all our client’s press is posted on the web, on Twitter and on Facebook. Now more than ever it makes sense for you to partner with Strictly Business Magazine, contact us now to learn more. 10. Editorial / Content Marketing support that adds up to over $10,227 in Value Added services for FREE. call 402-466-3330 or simply fill out & submit the contact form above.